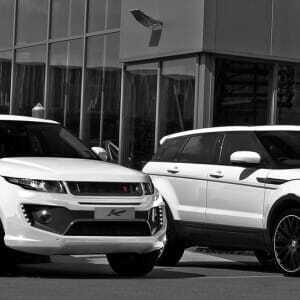 Taking orders now on the Range Rover Evoque styling programmes by Khan Design. Contact us or call to discuss options. 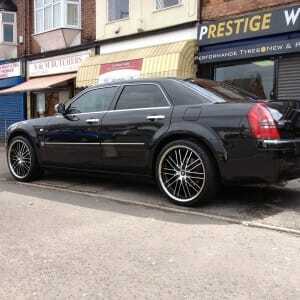 The stunning 22″ Valenza Roma wheel fitted to enhance this Chrysler 300c works like a dream. The stainless steel dish and machined spokes are the perfect match for the 300c’s chrome window outers and chrome door handles and compliment this big ride in a big way. Another great example of how stunning the Hawke Chayton wheel finished in high gloss silver can transform a vehicle. 9.5 x 22″ Chayton wheels are wrapped in 285/35r22 Pirelli Scorpion tyres and sit perfectly on this Sport. 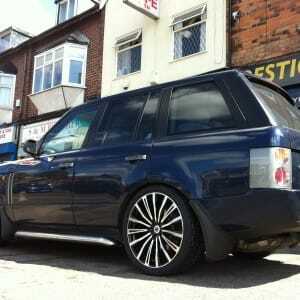 These wheels can be viewed here for full specification. 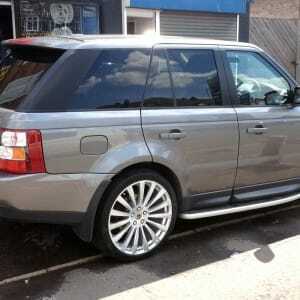 Hawke Chayton alloy wheels fitted to the L322 Range Rover in 22″ finished full Gloss black and machined.